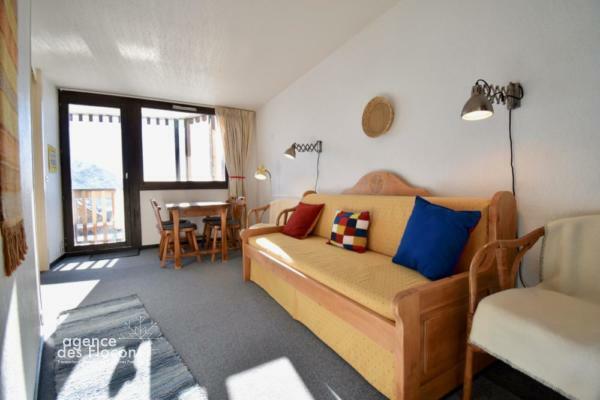 This south-east facing apartment is on the 4th floor, it’ s fully renovated, offering a bedroom, a balcony, and a nice view on the pistes. It’s organized as follows : entrance with storage, separated W.C, bathroom, open and fully equipped kitchen, bright living room with 1 sofa bed, a double bedroom. The apartment is sold furnished and equipped for 4 persons with a balcony and a storage room. Property subject to the condominium system . 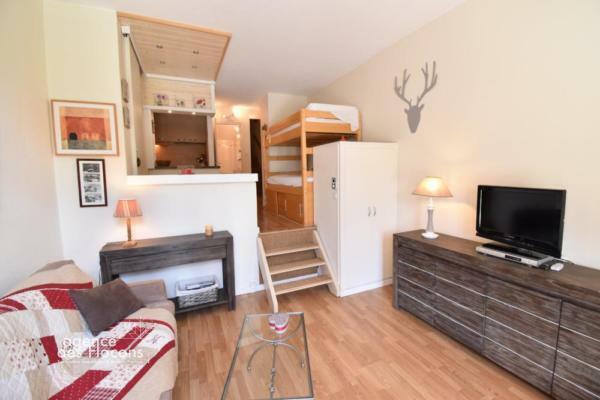 A nice one bedroom apartment: convenient and quiet location, comfy renovation, south-east exposure, balcony and nice view on the slopes. 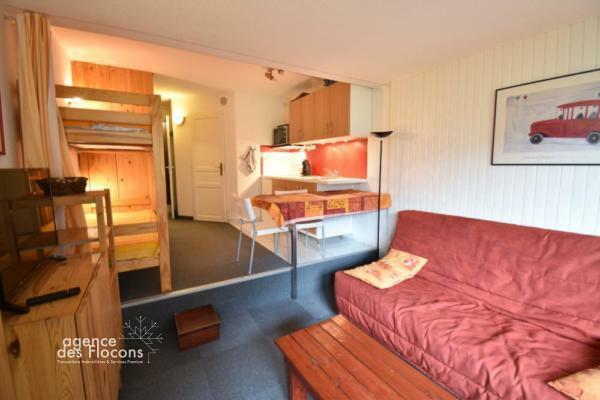 Share the post "1 bedroom apartment in Pas du Lac (Sales agreement signed)"